Recalibrate for better multitouch. Adjust your image alignment. Link multiple displays to extend Span™ Workspace across several touch panels. And do it all from one intuitive interface. 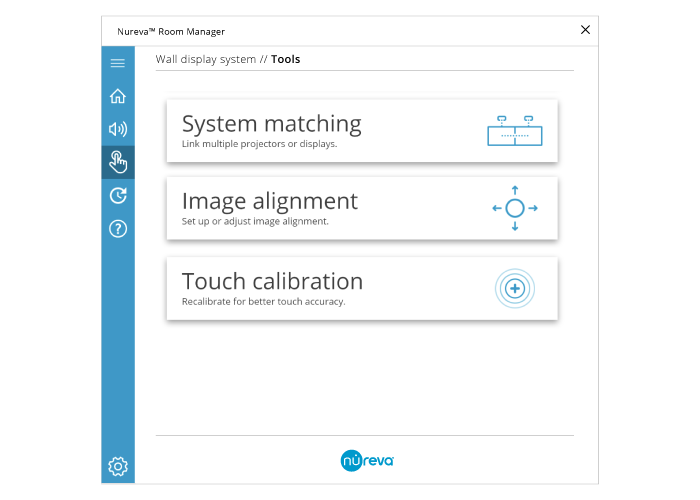 See how the Nureva Wall and Span Workspace can accelerate your team’s processes in our live, personalized demo. We would love to hear from you! Contact us for sales requests, career information, corporate information or general questions. Copyright © 2019 Nureva Inc. All rights reserved.